SAS Builders Inc. is a locally owned and operated business serving Montgomery County for over twenty five years. 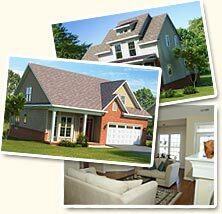 Formerly known as SAS Construction, we have carefully focused on meeting the housing needs of the New River Valley. Stafford's Farm, Knollwood Townhomes, Overlook Court, The Meadows at Northside Park, Echols Village, and the up and coming Fiddler's Green are just a few of the quality, innovative projects that make up our extensive portfolio. Ranging from a variety of single and multi-family homes we have consistently provided the community with superior construction and design excellence. Whether you are a 1st time home buyer, empty-nester, upgrading, or building your custom home, SAS has the home you've dreamed about at the prices you can afford. With more than 20 years in the construction and real estate business, SAS has earned industry awards for exceeding the expectations of homeowners. SAS Builders has constructed more than 100 single-family homes and more than 520 multifamily units in Virginia's New River Valley. Locally owned and managed, we know the New River Valley area and thoughtfully design our communities to fit into the local environment. SAS homes are built to last, with the highest quality materials and craftsmanship that go beyond the norm and often surpass industry standards. Livability, innovation and exceptional value are built into every SAS home. Many design features you'd expect to find as optional upgrades are standard. And we have a can-do attitude toward add-ons at your request. Past president of the New River Valley Homebuilders Association, recipient of the Small Businessperson of the Year Award, New River Valley Builder of the Year Award and New River Valley Association of Realtors Developer of the Year Award. Jeanne Stosser has been a resident and business owner in Montgomery County for over twenty five years. As a licensed Real Estate Broker in Virginia, President of CMG Leasing and SAS Builders, Inc., (formerly known as SAS Construction), Jeanne has focused on meeting the housing needs of the New River Valley. Ranging from a variety of single and multi-family homes, Jeanne and the team at SAS Builders have consistently provided the community with superior construction and design excellence. Recipient of the New River Valley Builder of the Year Award, Scott is an integral part of the construction of each home SAS Builders proudly creates. He has been involved in the construction of single-family and multi-family housing in the New River Valley for over 10 years. 1993 Graduate of the University of Kentucky with a degree in Engineering and accomplished entrepreneur and frontman of Triplecom Broadband Solutions, Jeff is vital to every project. He is a licensed Real Estate Agent in the Commonwealth of Virginia.